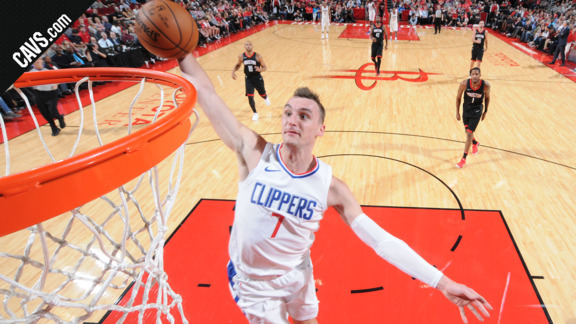 CLEVELAND – The Cleveland Cavaliers have acquired forward Sam Dekker from the Los Angeles Clippers, Cavaliers General Manager Koby Altman announced today from Cleveland Clinic Courts. In exchange, Cleveland will send the draft rights to Vladimir Veremeenko to the Clippers. The Cavaliers will also receive the draft rights to Renaldas Seibutis and cash considerations from Los Angeles. Dekker (6-9, 230) spent last season with the Los Angeles Clippers, averaging 4.2 points on .494 shooting and 2.4 rebounds in 12.1 minutes per game over 73 games (one start). Over his three NBA seasons, he owns career averages of 5.3 points on .481 shooting and 3.0 rebounds in 15.1 minutes per game during 153 career contests (three starts) with the Clippers and Houston Rockets. Dekker also appeared in four postseason games with Houston in the 2017 Playoffs, averaging 2.3 points and 2.5 rebounds in 7.8 minutes per game. The 6-9 forward, who hails from Sheboygan, Wisconsin, and played collegiately at the University of Wisconsin, was originally selected by the Rockets with the 18th overall pick in the 2015 NBA Draft. With the recent acquisition of forward Sam Dekker, check out some of his best career highlights.